Wander Wallet helps you keep track of your spending on any adventure, big or small. - View all important trip information at a quick glance, including totals, budgets, remaining and average day amounts. - Toggle between 10 most recent spends and summary amounts. - Personalise your summary page with an image for your trip. 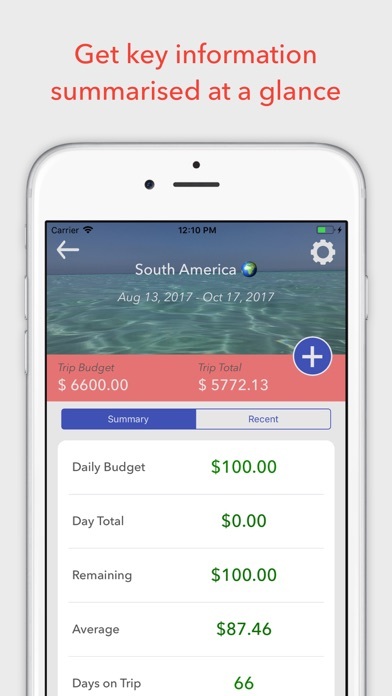 - Tap any of the amounts on the summary screen to cycle through the amounts converted to your different trip currencies. - Add new spends with ease just enter the amount and click add! - Categorise your spend with the preset categories or add your own. 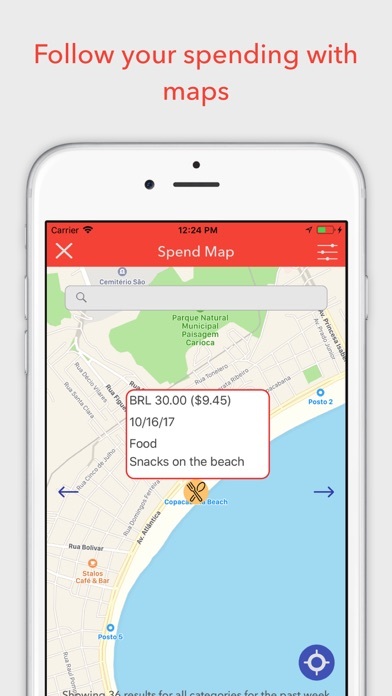 - Add a location or just let the app take your current location for use on your Spend Map. - Split spends across a number of days. - Work out any calculations you need in app, so there is no need to leave the app to split a bill. - Your spends plotted on an interactive map. - Spends represented by coloured coded icons representing which category it belongs to. 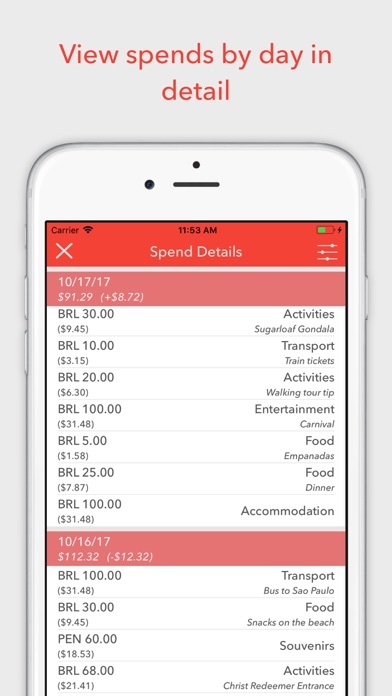 - Tap a spend to show its details. - Filter the map results by time period or category. - Easily flick back and forwards through spends. 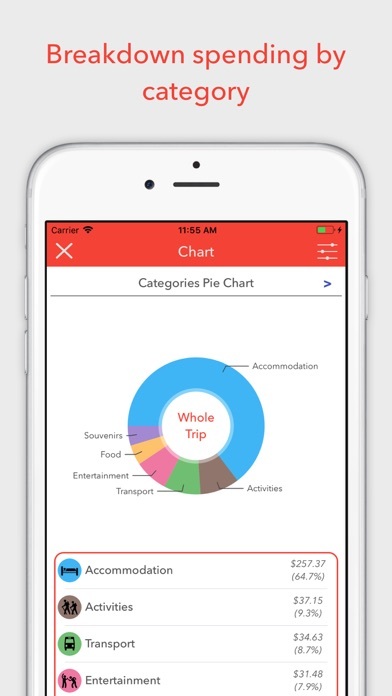 - Visualise which category is taking all your cash in the colourful pie chart. - Filter the chart by time period. - Stack days up against each other with the bar chart. - Filter the chart by over/under budget. 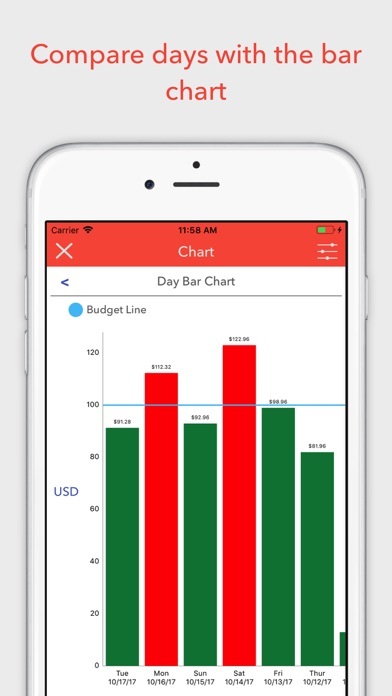 - Add lines marking the day budget and average day spends. - View your spends in a table with sections organised by date. - Tap a spend to display more details or to edit/delete it. - Collapse and expand sections by tapping the date. - Filter results by category or time period. - Export trips to a csv file and folders of images at the click of a button. - Trips can be exported a number of ways, including saved to iCloud, sent via iMessage and AirDrop.